Transmitter power control has proven to be an efficient method to control cochannel interference in cellular PCS, and to increase bandwidth utilization. Power control can also improve channel quality, lower the power consumption, and facilitate network management decisions such as mobile removals, hand-off and admission control. Most of the previous studies have assumed that the transmitter power level can be controlled in a continuous domain. In systems where power is digitally controlled, power levels are discrete. 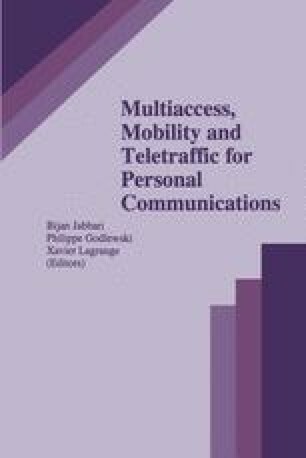 In this paper we study transmitter power control algorithms in a cellular PCS, which use only a finite set of discrete power levels, and where the receiver is subject to background noise. We characterize an optimal discrete power vector, and present a Distributed Discrete Power Control (DDPC) algorithm which converges to it. We evaluate the algorithm in a microcellular environment, and investigate the impact of the discrete power level spacing.